Realistic Badminton Physics combined with great swipe controls to give the best Badminton experience on mobile! 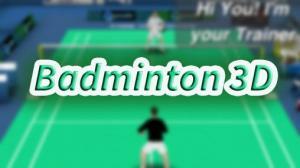 Play Badminton with your Friends in Online Multiplayer or Split Screen Multiplayer mode. Beautiful 3D graphics, intuitive controls, and plenty of game modes make this the best Badminton game for mobile!